Katrin has been coaching the Women’s Masters Team at LBRA consistently for more than a decade. She was also the Junior Men’s Varsity Coach at LBJC from 2008-2010 and coached indoor rowing at LBRA from 2006-2010. 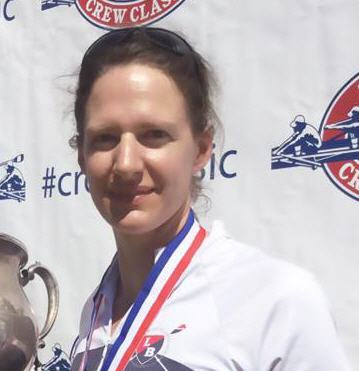 Under Katrin’s coaching the Women’s Masters Team has competed at Masters Worlds for the past couple of years, and also made it to the Head of the Charles Regatta in 2018. The team attends most of the local races and also enjoys scrimmaging with their sister clubs in Southern California. Katrin attended the USRowing Coaching clinics level 1 and 2 and benefited from having competed at the highest level in the sport of rowing. Katrin was a member of the Danish National team for four years. She competed twice in the single scull at the U23 World Championship (’97 & ’98) and twice in the quadruple scull at the World Championship in 1999 and the Sydney Olympics in 2000. All four years she made it to the grand final. She transferred to USC and competed at the NCAA in the Varsity eight 2000-2003. As a Masters rower herself, she continues to train and compete and most recently won the single, double and eight at Masters Worlds in Copenhagen 2016. She set the course record at the Head of the Charles 2016 in the Women’s Senior Masters eight.